Matter Of Form were delighted to host an event on “Content Driven Commerce — Creating and planning a content strategy that works to sell”, on Tuesday 12th September at the Hamyard Hotel in London as part of MOF’s Retail Therapy series. The event involved a talk by Suzie Ryan, MOF Content Strategist, followed by a lively Q&A session. 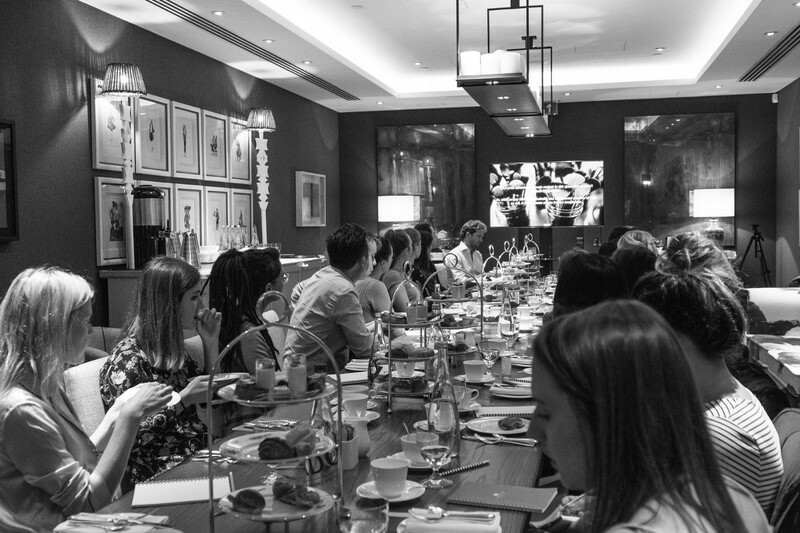 It was well attended by a range of industry professionals from brands such as Yolke, The Rug Company, Smythson, Neals Yard, Liberty London, Jenny Packham, Aquascutum and Alex and Alexa. The key client concern shared by nearly all clients, not surprisingly, was making content ‘shoppable’. A content strategy has to be commercial. After Angela Ahrendts had allocated 60% of Burberry’s marketing budget in her digital strategy in 2006, the sales tripled in the following five years. One of the success factors in her strategy was thoroughly connecting the products to high-quality pieces of content. The second key concern was internationalisation. Terminology and key search terms in the UK are very often completely alien when used in the US, and vica-versa. This can get even more complex when taken to territories such as Japan, where colour of artwork and imagery has very different connotations compared to the UK. Brand book and tone of voice need to be locked down and documented. Everyone knows they need a brand book and a tone of voice, but the brand book of the future will be smaller and far more flexible to enable content to be produced in a fast moving multichannel environment. Take risks. With a confident tone of voice and brand book there is no excuse to not take risks and stand out from the competition, even after a little bit of testing and learning. The Harvey Nichols 100-year- old model campaign was one of the highlights of Suzie’s career, and involved exceptional creative risk taking rather than huge budgets. Do personas, keep them simple, and then do not lock them away in a cupboard never to be referred to again. They are essential to allow us to develop a perspective on what is important not just to the brand, but to the user too. Teams working in silos are one of the main reasons brands fail at content. A centralised activity calendar is key in aligning teams. Another key failing is not sweating content. You have to make your content work as hard as you can and promote it across channels. It is amazing how often a piece of content gets produced by one department and then used only once, when it can be used many times as part of a focussed program of activity. The best £500 anyone can spend from the content budget is on a day long SEO course. Not having to rely on an SEO or Data consultant for everything is a big win in an environment where success is 100% measurable. Social shares are as important a measure of success as any — there is no greater proof of user engagement and hence successful content. ‘Hygiene’ content often gets overlooked — and yet this can be some of the most fun content to work with. The ability to surprise and delight exists in countless areas. An example was given of the luxury firm that added “Duke, Duchess, Earl, Countess” to the form fields in a ‘My Account’ section — a small but impactful endeavour. Originally published at Matter Of Form. We are an award winning innovation, brand experience and eCommerce agency who work with global brands who expect exceptional craftsmanship.